Chemex's patented bonded filters are 20-30% heavier than other filters on the market and are scientifically designed to give you the perfect cup of brewed coffee every time. 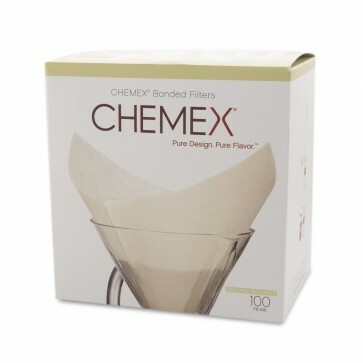 The shape and material allow for a uniform infusion and extraction while also removing the unwanted sediment and bitter oils from your delicious brew. 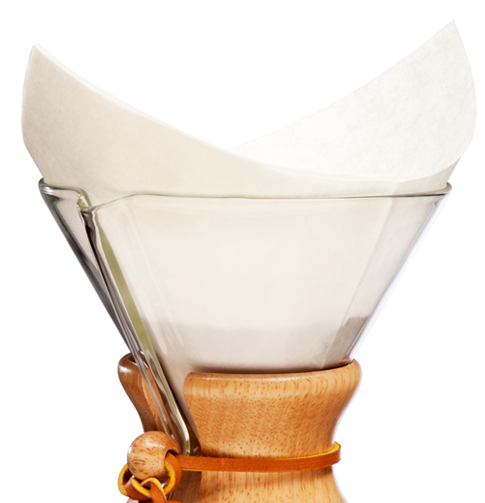 These square paper filters fit Chemex brewers 6-cup and larger and are pre-folded for convenience. Pack of 100. Unique Shape - Clean up made easy! Some find that the square shape of these filters make them even easier to remove after use.